Brand - The availability of several brands of beach umbrellas in today's market often makes us spoilt for choice. With the features of these umbrellas being remarkably similar, it is critical that customers can identify reliable brands that manufacture quality products. All items listed are made by trusted brands that have been in the industry for decades, with examples being EasyGo and Alvantor. Materials - The materials used in the construction of beach umbrellas are meant to be sturdy and durable, to enhance their longevity. Some of the materials used for the products listed above include stainless steel, fiberglass and polyester for the canopy region. Durability - Durability comes in many forms, from the method of construction of a product to the materials used in its development, and even how it's used. Durability is assured with every product recommended by our team. They are built to withstand strong winds and other forms of pressure exerted on them with ease. 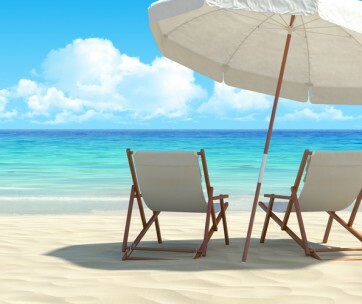 Reviews - Several user feedback of many beach umbrellas were analyzed from many online platforms before the final products were selected. Each review observed provided details into the specifications of each umbrella, clearly underlining its strengths and weaknesses to offer readers a thorough report on their preferred beach umbrella. Price - Budget means a lot to us, just as it does you. It is for this reason that the products we recommend are budget friendly. Each unit is reasonably priced to cater for the different financial resources of readers. Intended Use - If you have skin, then you need a beach tent. These units are great for everyone and not just those with extra sensitive skin. To help you make an informed decision, clearly define what you intend to use your beach umbrella for, and this will guide your choice as to what model and size to opt for. Water Resistance - When selecting a beach umbrella, it is advised that you opt for models resistant to water, to keep you protected in emergencies. 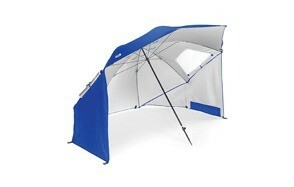 In the event of an occasional drizzle, your beach tent must be capable of keeping you well protected. The extent to which a parasol is waterproof depends on the quality and finish of the canopy. Umbrella roofs are available in different materials. Most often, water resistant beach umbrellas have their canopies constructed from materials such as polyester. However, there are three different types of fabric: acrylic, polyester and cotton fabrics. Good acrylic fibers provide a weaving density of up to 300g / m². However, these values can not be achieved with polyester and cotton. UV protection - Will your beach tent protect you from UV rays? Some individuals believe that sunscreen is better than having a UV protected beach tent. Research shows that having a UV protected beach umbrella is more effective than wearing sunscreen since these tents can block up o 90% of all incoming UV rays. Besides, why worry yourself with the reapplication of sunscreen every few hours when you can make use of your well-designed beach tent. Ease of Use - Using your beach tent must be extraordinarily natural and straightforward. The installation process must be simple, understandable and take a minimal amount of time, to offer users more time for their outdoor activities such as swimming or playing soccer. If a beach tent model is robust to install or dismantle for storage, using it won't be very enjoyable for customers. Maintenance - Concerning maintenance, we recommend that you choose umbrella models that feature fade resistant and weatherproof material. These materials are often easy to clean and don’t require excessive cleaning. Also, the metal parts of your umbrella must be coated to prevent it from rusting and also to enhance its longevity. 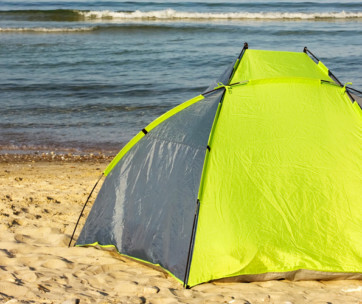 Clamp-On - These are the most common kinds of beach tents. 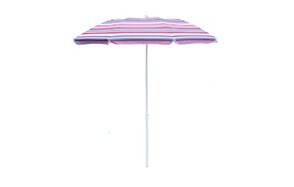 They are smaller than the regular beach umbrellas that come with eight panels that can be clamped on chairs and tables. Commercial Grade - Grade umbrellas are made from weather-resistant materials; thus, they are the sturdiest and durable option. Their pockets usually feature reinforced pockets, with fiberglass used for their ribs. 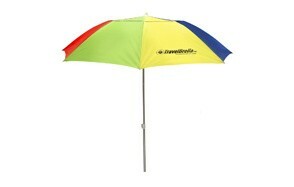 UV Protection - UV protected beach umbrellas are the best kind of beach tents. Most often they also feature the tilt adjustment system that enables you to maximize the shade in any direction. 7-8 Foot Beach - To obtain maximum shade and protection from your beach tent, we recommend that you opt for 7-8 foot umbrellas. 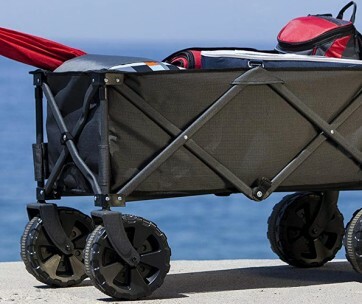 They are the best option for your trips to the beach, and they are usually made from hardwood and aluminum for enhanced stability.